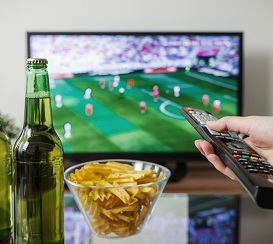 The Super Bowl is arguably the most important day of the year for advertisers. With 100 million Americans watching the big game, the Super Bowl is paramount. This year, a 30 second ad during the Super Bowl LIII costs advertisers $5.25 million. That amount of money means there is a lot of pressure on an ad to be memorable – especially today, when ads are sometimes talked about more than the game itself. In case you missed them, or just want to see them again, here are some of the most memorable ads of the 2019 Super Bowl. Also promoting a new product, M&M’s plays on the all-too-familiar situation of a parent trying to quiet down their children in the backseat of the car. The parent in this commercial is Christina Applegate and when she turns around to scold her kids, we see the loveable M&M’s characters with a chocolate bar connecting them.